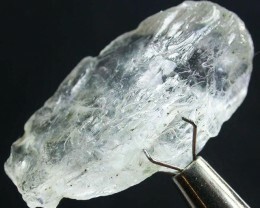 This is a natural untreated crystal rough. 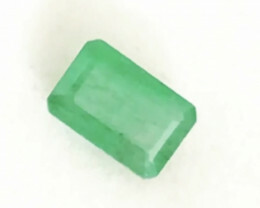 EMERALD IS A VARIETY OF THE MINERAL BERYL, COLORED GREEN BY TRACE AMOUNTS OF CHROMIUM AND SOMETIMES VANADIUM. 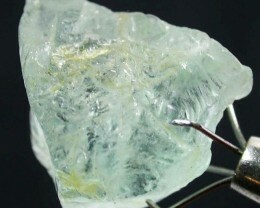 BERYL HAS A HARDNEDD OF 7.5 – 8 ON THE 10 POINT MOHS SCALE OF HARDNESS. 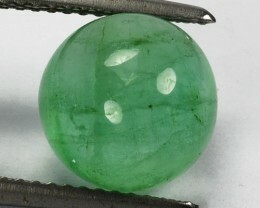 MOST EMERALDS ARE HIGH INCLUDED, SO THE BRIGHTNESS (RESISTANCE TO BREAKAGE) IS CLASSIFIED AS GENRALLY POOR. 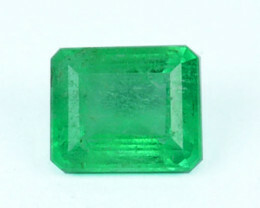 THE ORIGIN OF THE WORD “EMERALD” IS SAID TO BE A SANSKRIT WORK MEANING “GREEN”. 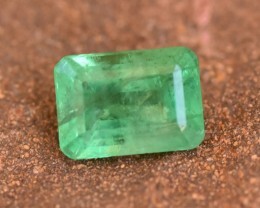 EMERALDS COME IN MANY SHADES OF GREEN AND BLUISH GREEN. 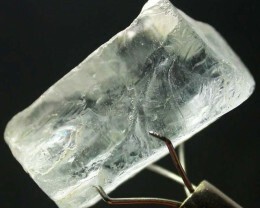 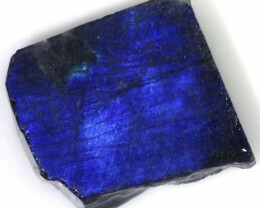 THERE IS A WIDE SPECTRUM OF CLARITY, DEPENDENT ON THE INCLUSIONS AND FRACTURES IN THE CRYSTAL. 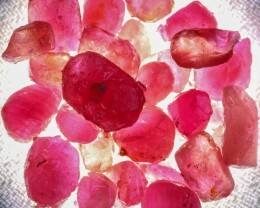 CLEAR STONES WITH DARK YET VIBRANT COLOR COMMAND THE HIGHEST PRICES. 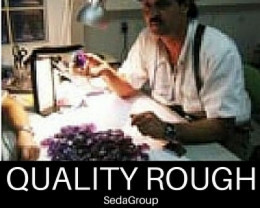 THE VALUE OF AN EMERALD DEPENDS ON THE CUT, COLOR, CLARITY AND CARAT WEIGHT.